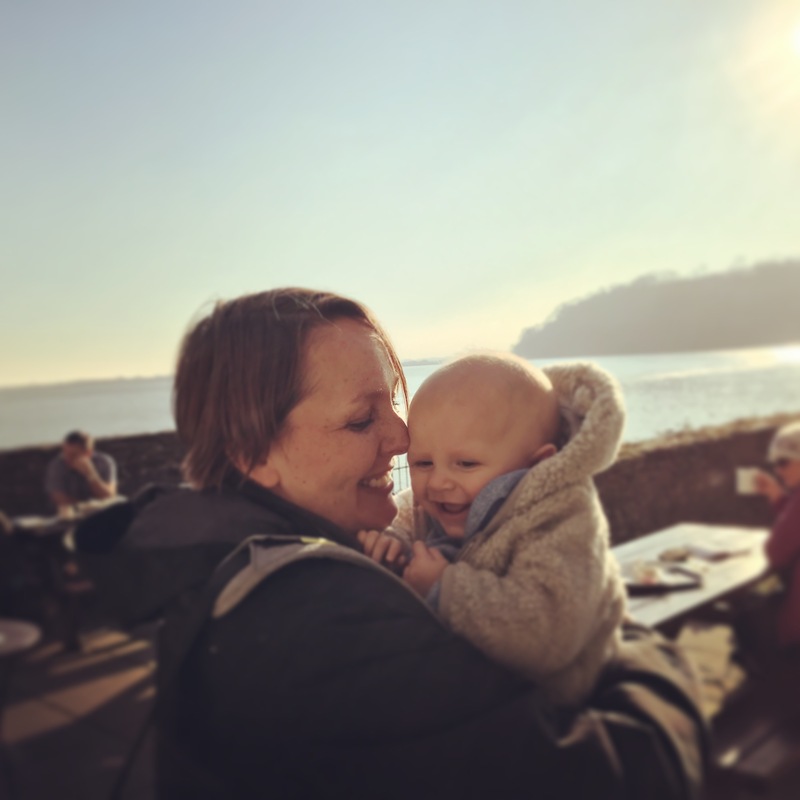 I had high hopes for this week’s GBBO challenge – but I had a few kitchen disasters, so what I eventually ended up making was not what I had planned. But first the show – I was glad to see the return of the historical segment this week: this time about why ice cream cones were invented (in a nutshell, to avoid people catching diseases from the reusable glass container housing the ‘penny lick’). I was also a bit in love with Mary’s face when she discovered that one of the bakers had brought in fondant icing from a shop. That was a look of pure disappointment, and made it clear that the cheating chap would be leaving the tent this week. The savoury biscuit challenge for week two’s signature bake was unexpected, as I had assumed the producers would choose sweet biscuits. I loved how Norman got a handshake from Paul when his utterly basic farthing biscuits (fat and flour and a bit of mixing – you’re done!) turned out beautifully – it does go to show that something simple done well can be sublime. But my favourites were Martha’s jammy dodger style biscuits with goats cheese and onion chutney in the middle – I immediately wanted to make them and started trawling the internet for potential recipes. Unfortunately I was unsuccessful in finding a suitable recipe, so had to cross these off my list of things to make, although the idea is parked for future reference as I am sure I will find a good recipe eventually. I don’t like florentines so knew I wouldn’t be making anything like that, but I was watching the show with my mum and she told me that she loves them so I have to make some for her. I’ll do that next time she comes over – she’s already told me she doesn’t want any mixed peel and she does want glace cherries and almonds, so I have no choice. Expectations are high! The showstopper challenge was impressive, as some of the bakers (I am excluding Jordan’s monstrous – ha ha – effort from this) made amazing 3D scenes with cowboys, dragons, pirates, ladies lunching, ski scenes and more. 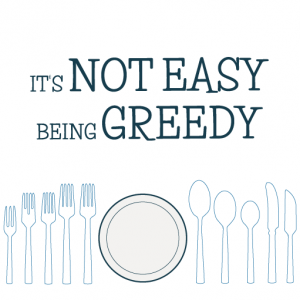 As I have mentioned many times, I don’t have the patience for that kind of effort, especially during a working week, and so I scrubbed that idea from the list of my challenge options. So what was I left with? Well, savoury biscuits really. And as I couldn’t find a recipe worthy of replicating Martha’s jammy dodgers, I had to source my own, so I took to my (many) cookbooks. 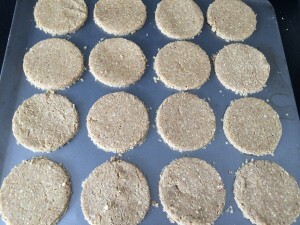 Eventually I settled on an Irish blue biscuit recipe from Nigella’s Domestic Goddess, using Cashel Blue. I ordered a pack of the exact cheese from Ocado (Nigella says you can use any blue cheese, but I hadn’t come across Cashel Blue before and so fancied giving this Irish cheese a go). Annoyingly, when the cheese arrived, I realise that I had ordered a pack of the cheese which had been mixed with cream cheese and made into a paste, so completely unsuitable for the challenge. 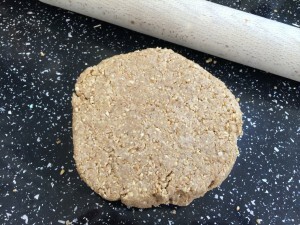 So another idea had to be parked, and instead (I was in a mood now) I decided to go for a Norman-inspired basic recipe and make oatcakes. 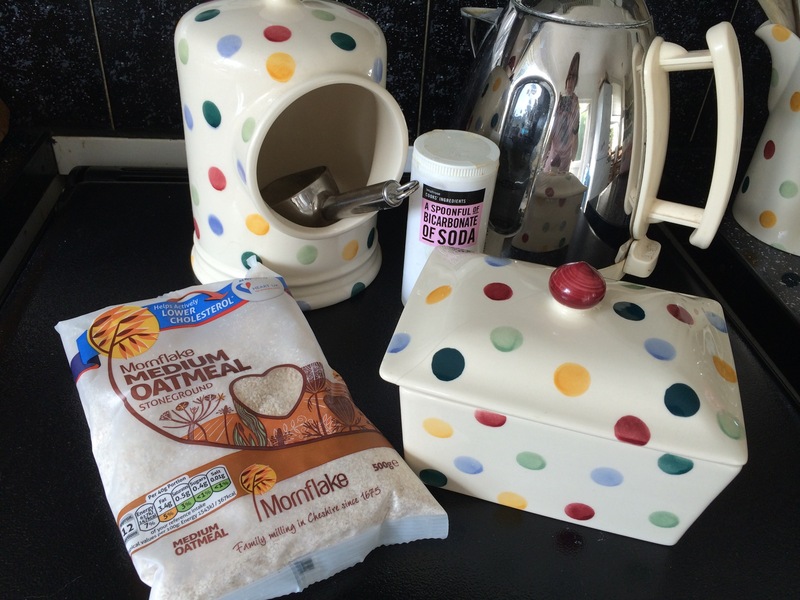 I have never made oatcakes before, but I do like them, and as they are quite healthy and nutritious, I eventually came around to the idea that this would be a good option for my Bake Off challenge. There was even a recipe for them in the page next to the Irish blue biscuits in Domestic Goddess, so I decided to go for it. In fact they are incredibly simple to make – you can be eating a batch within 30 minutes of getting the idea in your head that you want some crackers with your cheese. 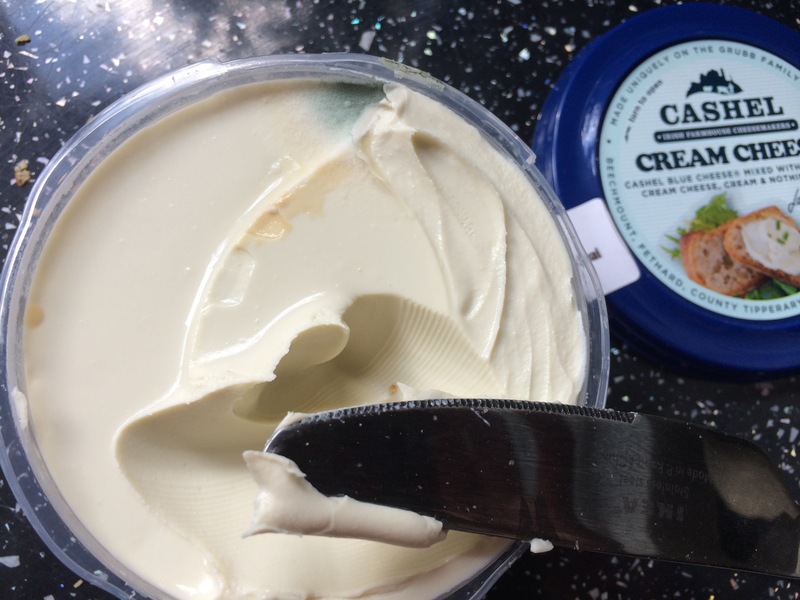 And – even better – I had my blue cream cheese ready and waiting to slather over the oatcakes. Unfortunately, when the oatcakes cooled and I opened my blue cream cheese, I discovered that the top edge of the cheese was covered in mould – and not blue cheese mould but mould like someone had opened the packet and stuck their finger in the cheese. I was tempted to give it a go anyway and not tell Andrew, but as he’s ill at the moment I eventually decided not to risk it (I had got to the point where I had spread the unmouldy bit of cheese on the oatcake so had to chuck it in the bin). I was not amused. 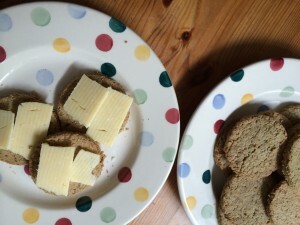 So I took a photo and fired off a complaint email to Ocado, and stroppily sliced up some Colliers cheddar (one of our favourites) to top the oatcakes with. Put your dry ingredients in a bowl and mix them together, then add the melted butter (or you can use melted lard but I didn’t have any) and mix, slowly adding water until you end up with a dough. I found that the mixture drank the water and whilst Nigella had stated I should only need 75mls, I actually needed 100mls. Add the water slowly and stop earlier if you can. The dough dries as you work with it so keep some extra handy, just in case. Roll out the dough as flat as you can (Nigella made no mention of flouring a surface first so I didn’t, which made things a bit sticky), and then either cut the dough into circles using a cookie cutter (which is what I did) or cut into triangles. Put them on an ungreased baking tray. Bake in an oven which has been preheated to 200 degrees for 15-20 minutes (mine just needed 15 minutes) – the oatcakes are ready when the edges are turning golden brown. 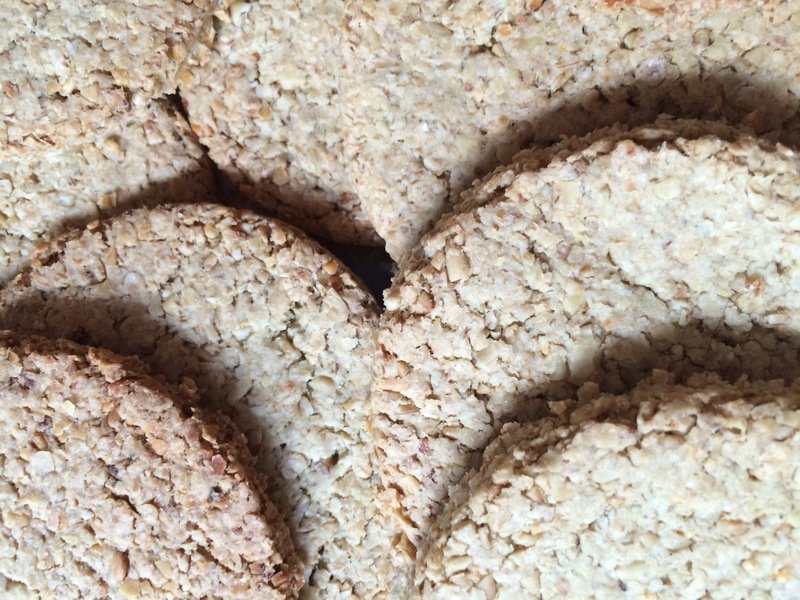 Remove them from the tray and put them on a cooling rack – the oatcakes crisp up as they cool.